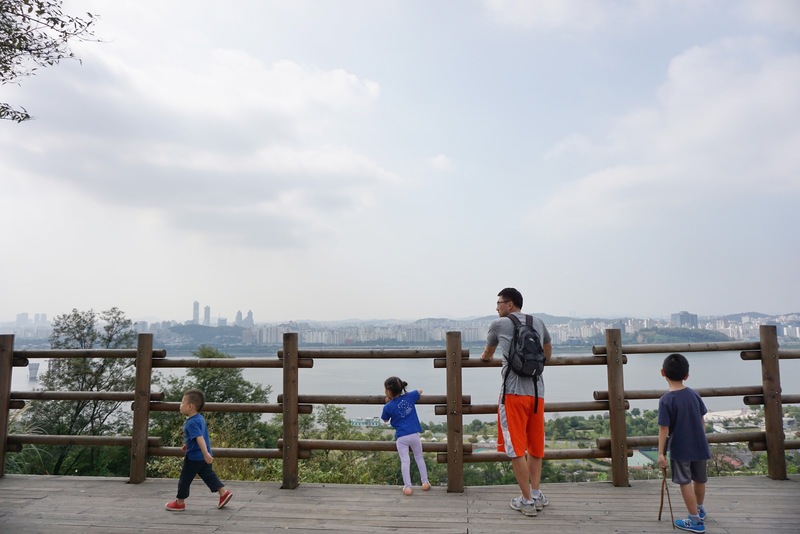 My husband and I have been living in Seoul for over 11 years now. 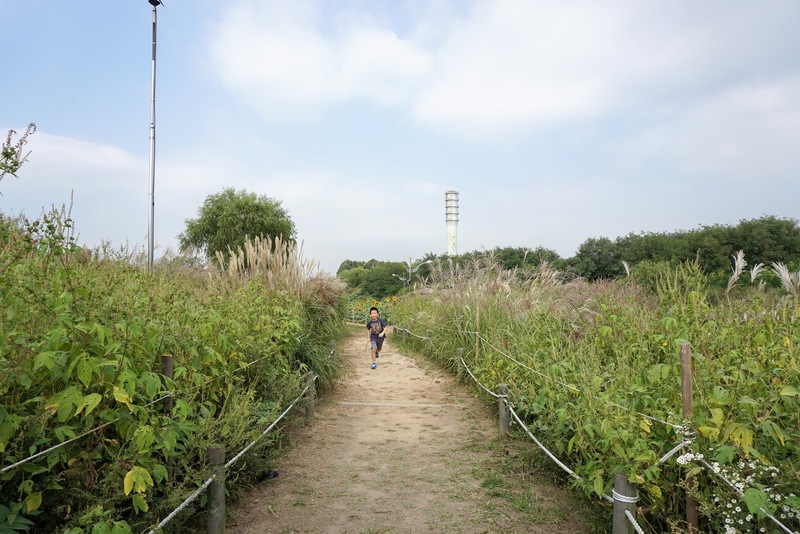 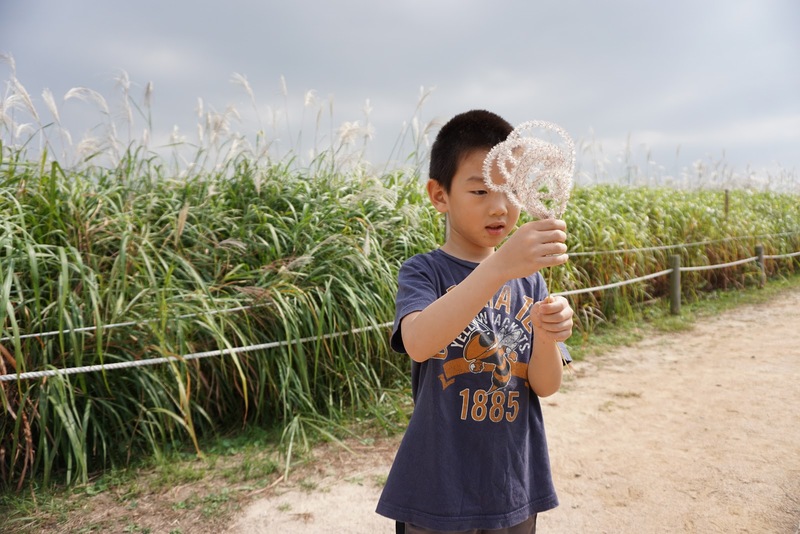 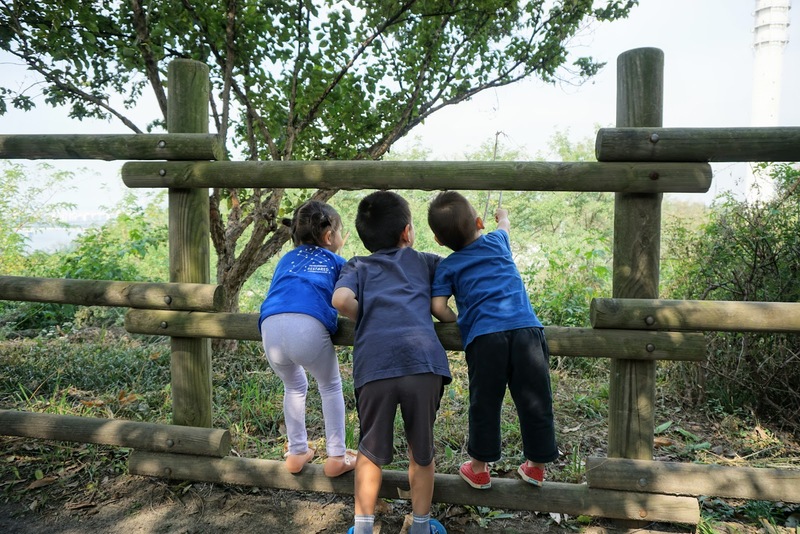 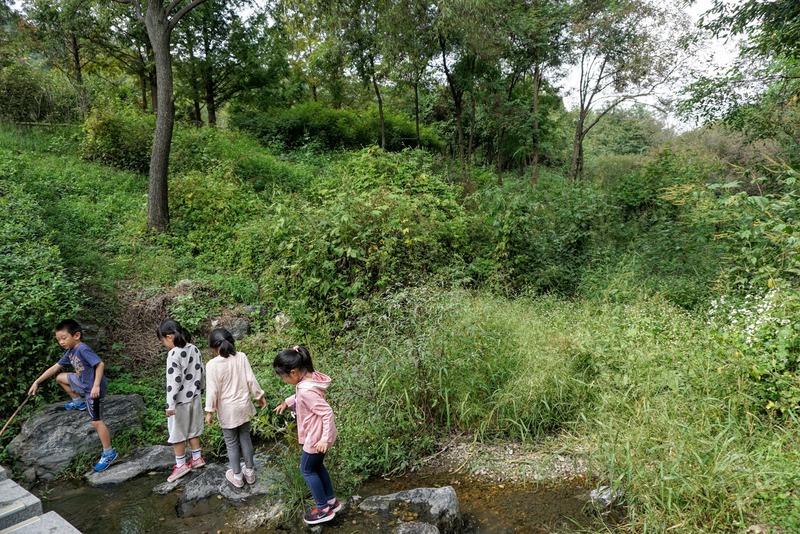 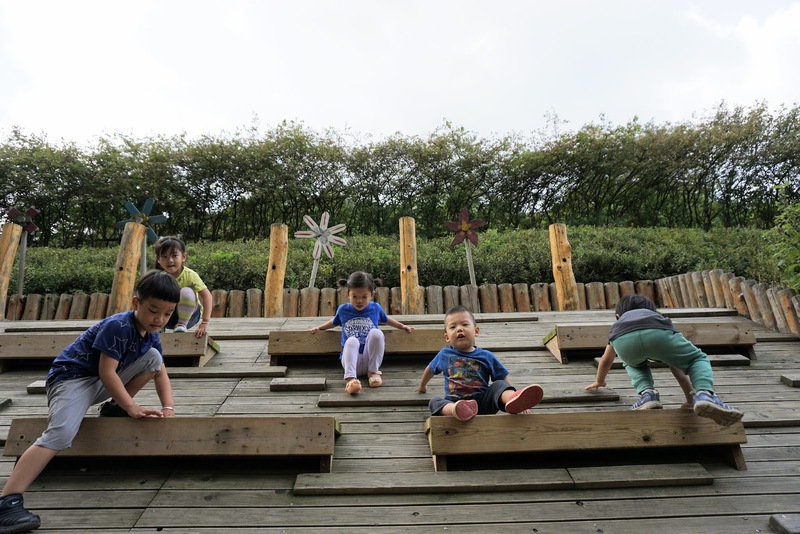 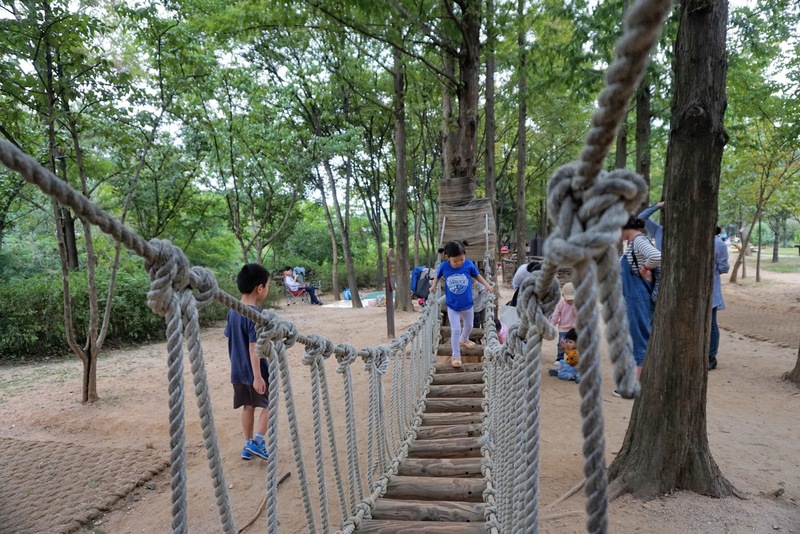 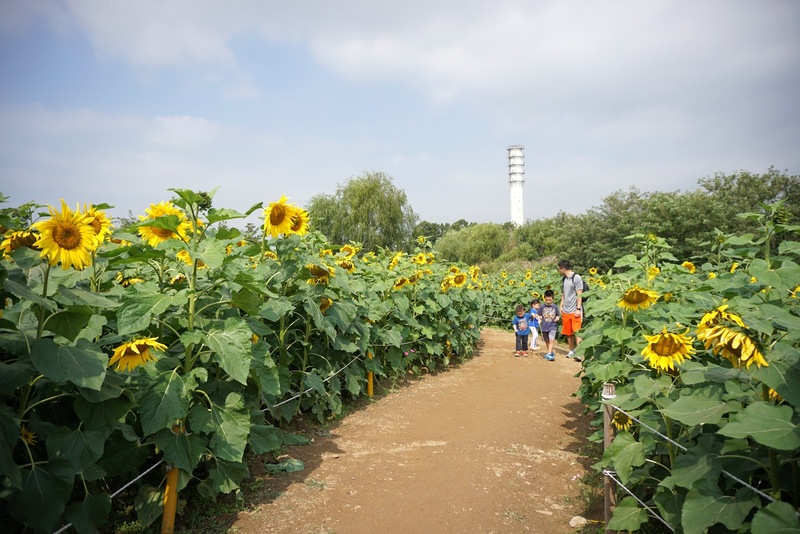 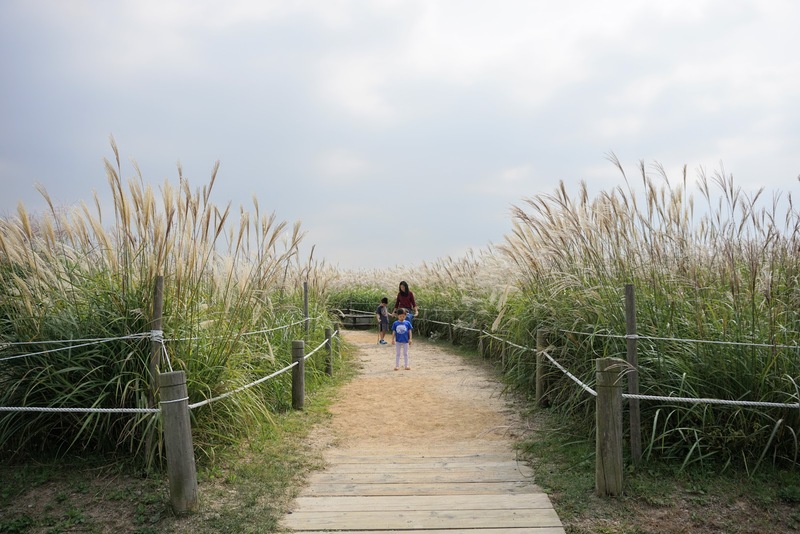 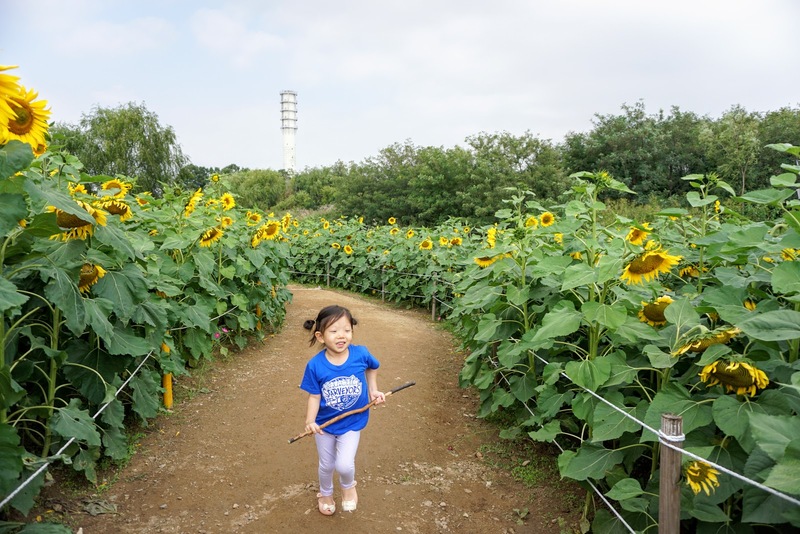 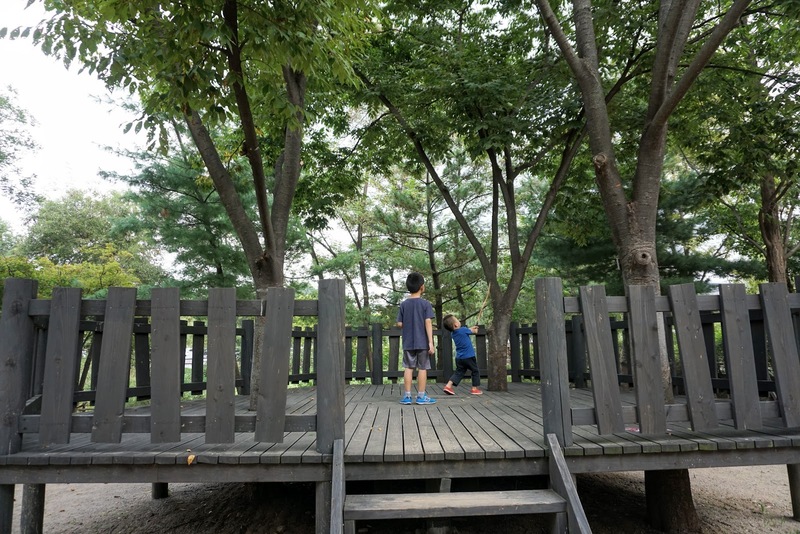 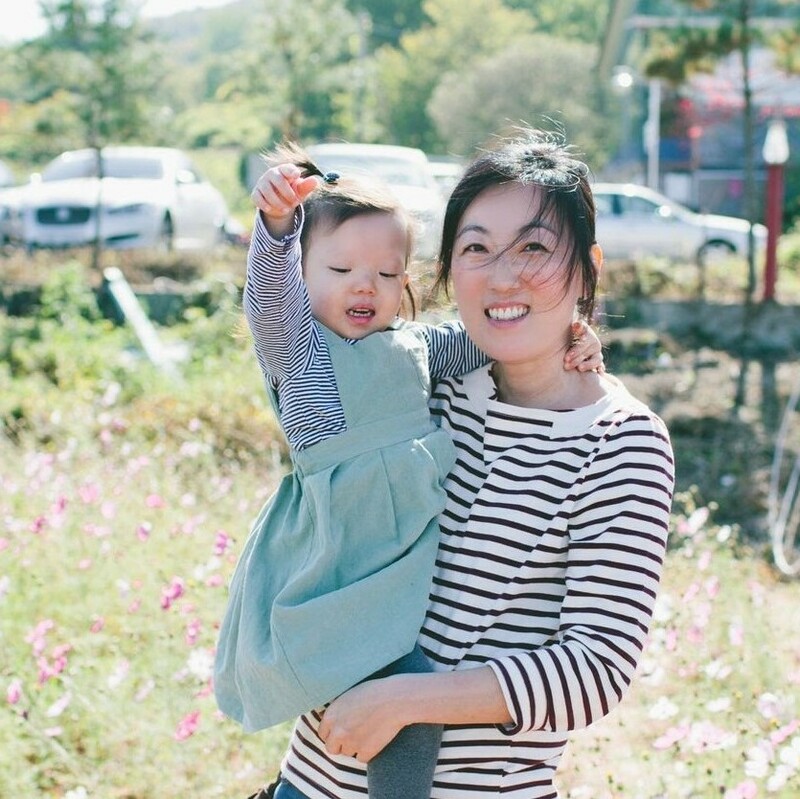 We didn't know beautiful parks even existed within Seoul until we started seeking them out for our kids to run around and play in nature. 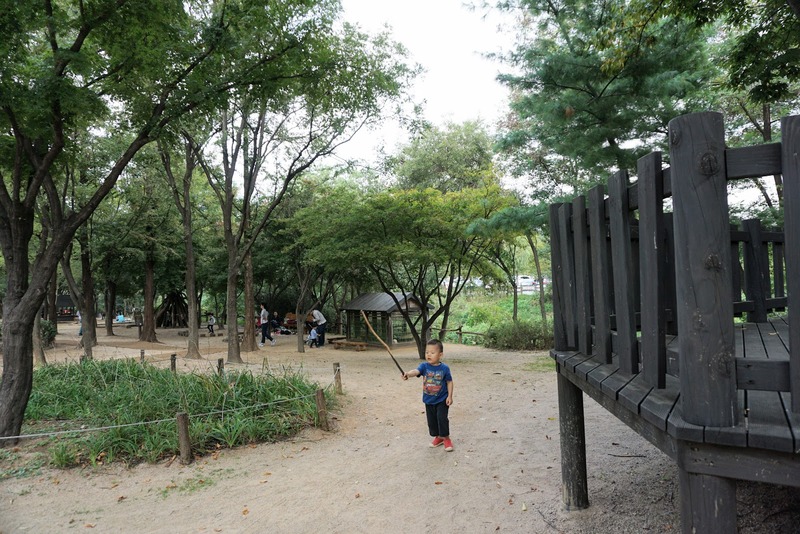 I must say, Seoul has quite a few beautiful family friendly parks. 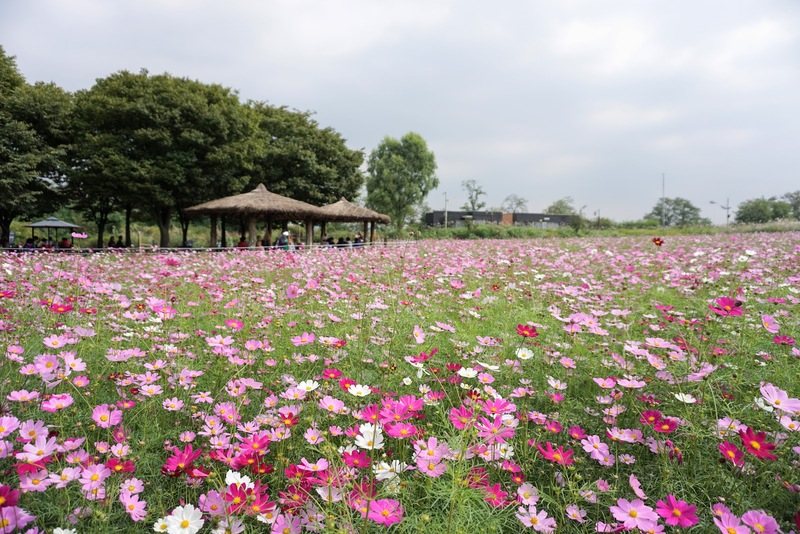 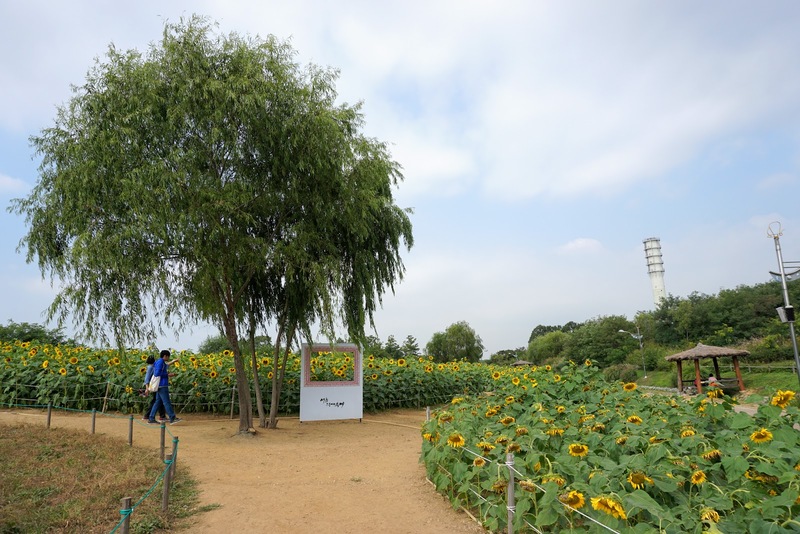 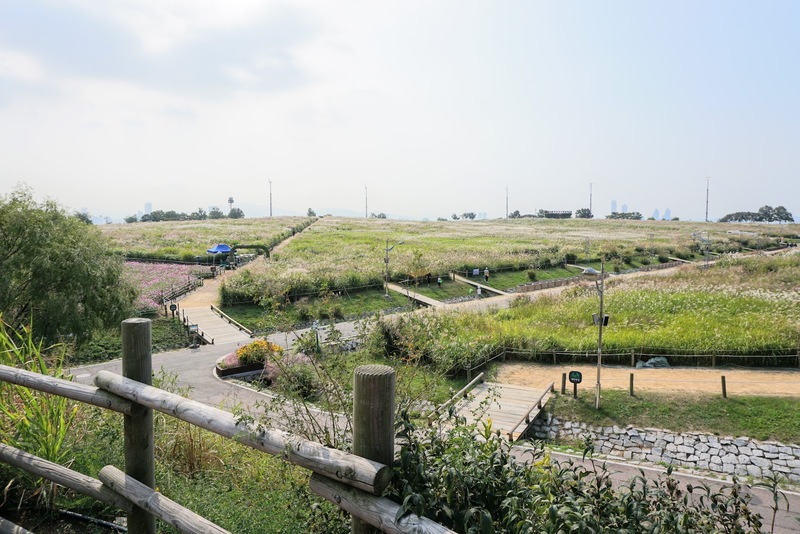 One of the parks that is a must visit during fall season is the Sky Park (하늘공원) located in Mapo right next to the World Cup Stadium. 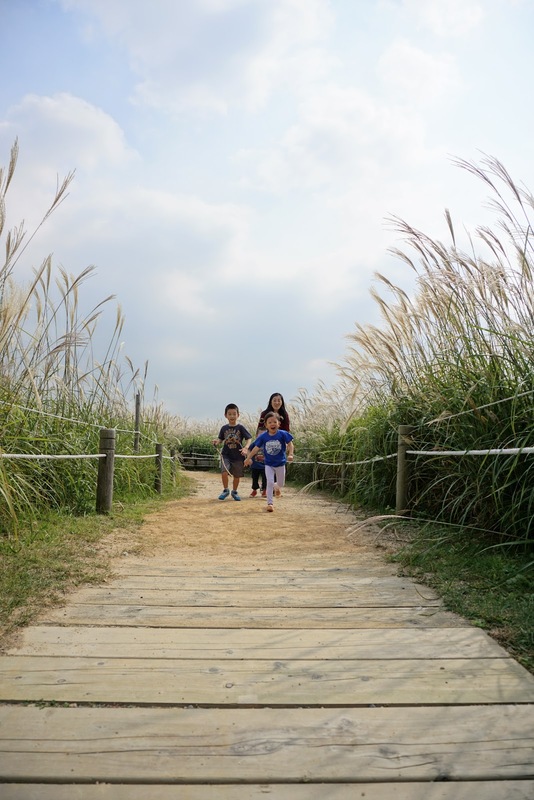 I would even recommend Sky Park for a family photo session. 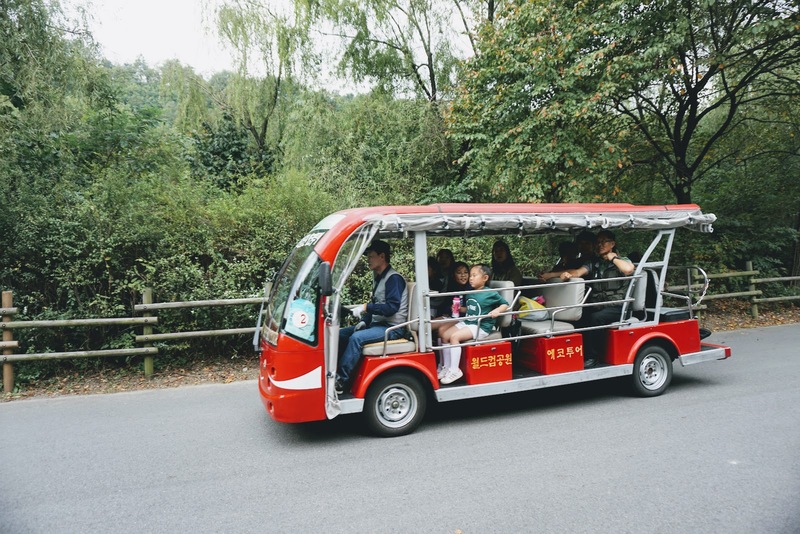 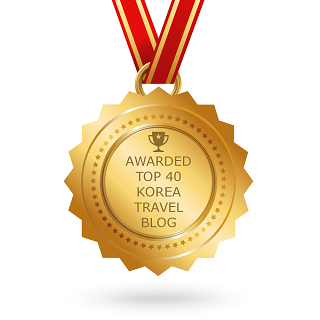 You can hike up to the top, but I recommend riding the trolley for 3,000 won per person roundtrip. 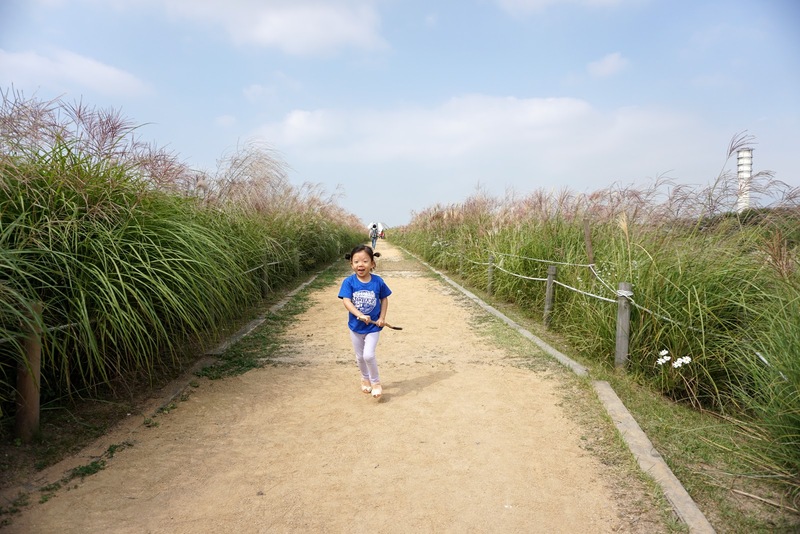 Once you arrive to the top, you will be welcomed by a wide cogon grass field and narrow paths through the field that is like a maze. 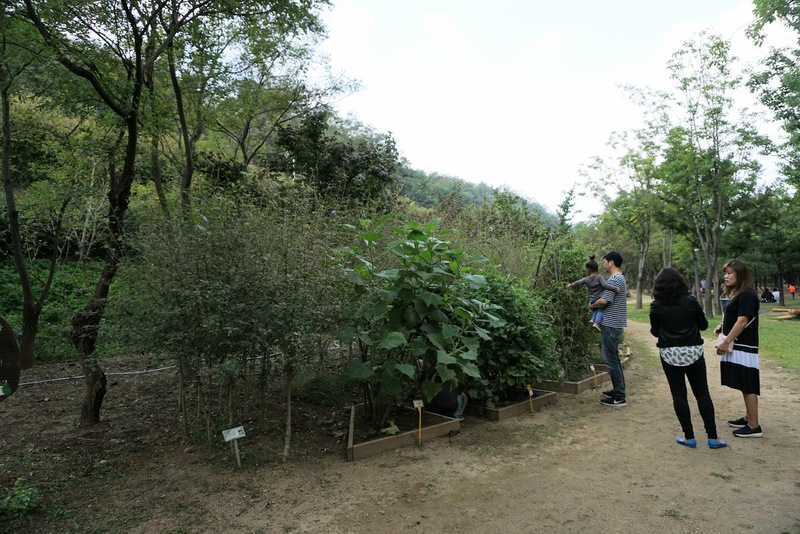 The pictures below are from last year November when my mom came to visit us, so you will know what to expect when you visit in November. 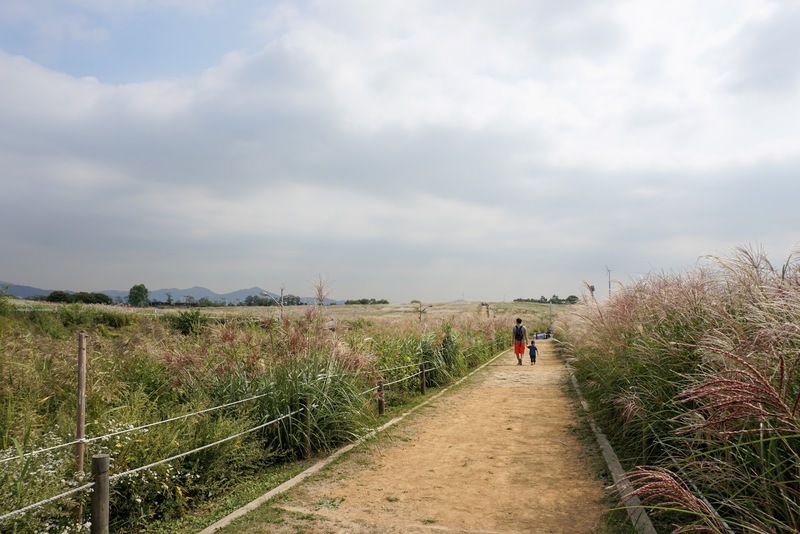 There is also a view point over looking Han River when you go straight ahead from the entrance. 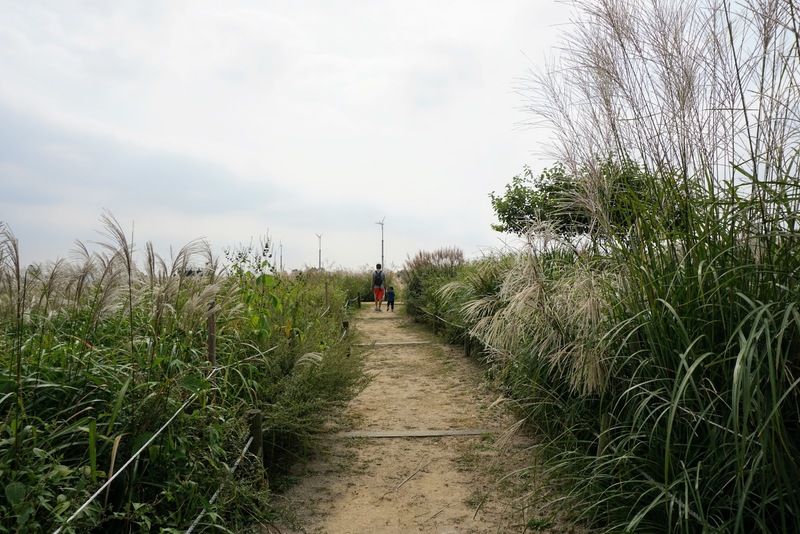 When you get tired from walking around, there are convenience stores on top by the entrance on the right or on the bottom that has cup noodles, kimbap, baked eggs (one of our favorite convenience store snacks), chips and drinks for snacks or quick meals. 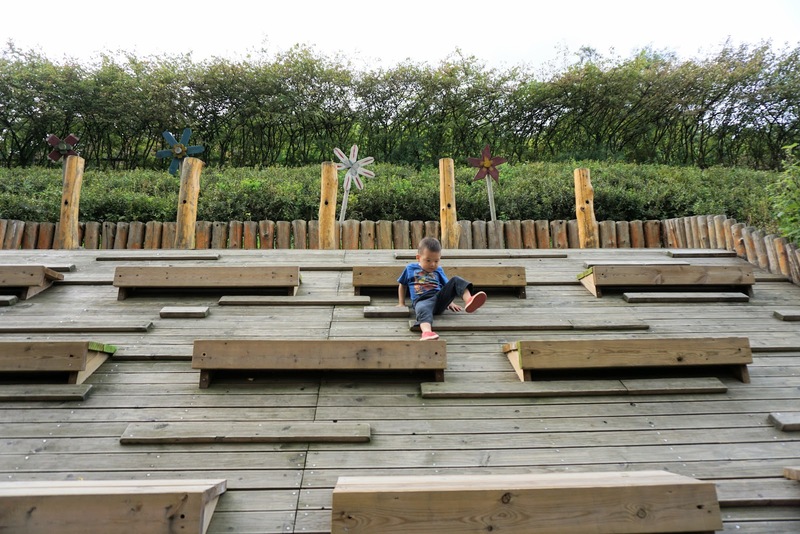 Or you can pack your lunch and have a picnic by the play area or field on the bottom across from the bathroom. 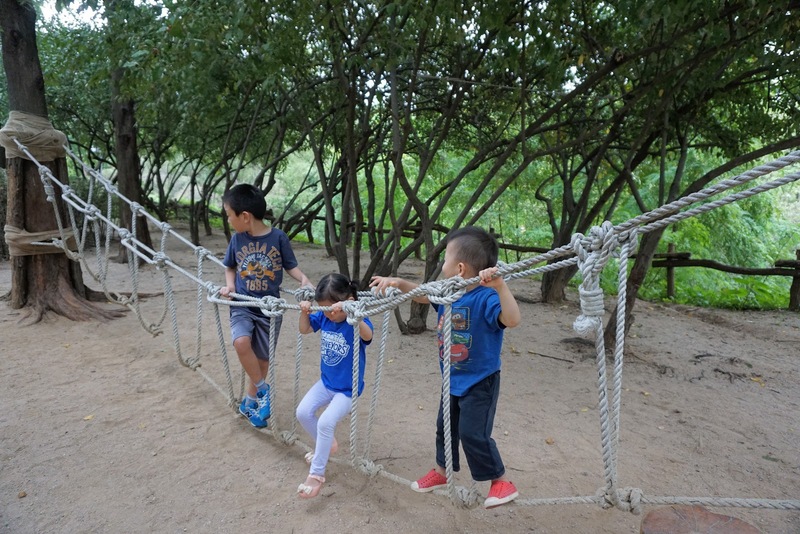 My kids loved the play area with sandbox, garden, rope bridge, wooden tippie and other structures that kids can play in or climb, and even has small animals you can feed. 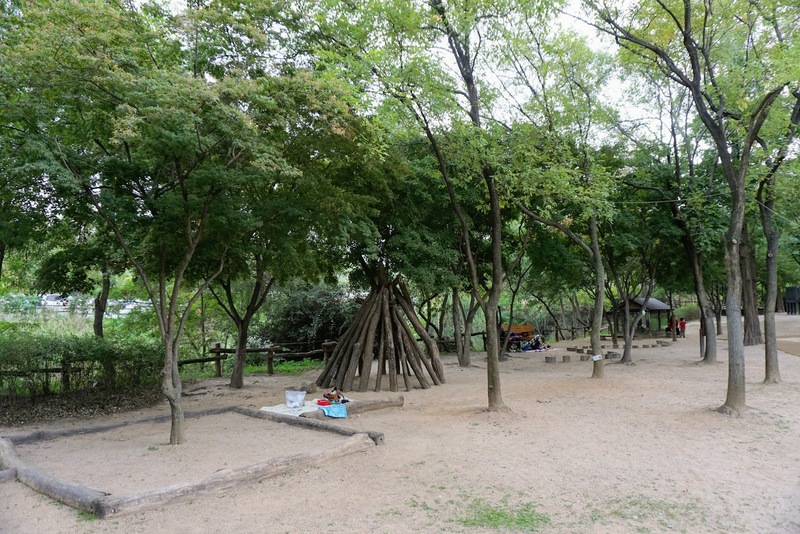 Many families with toddlers were having a picnic in this area. 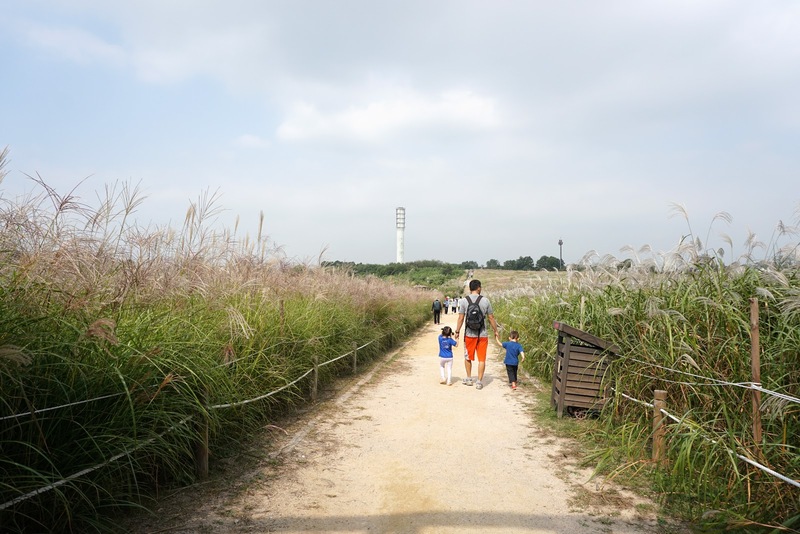 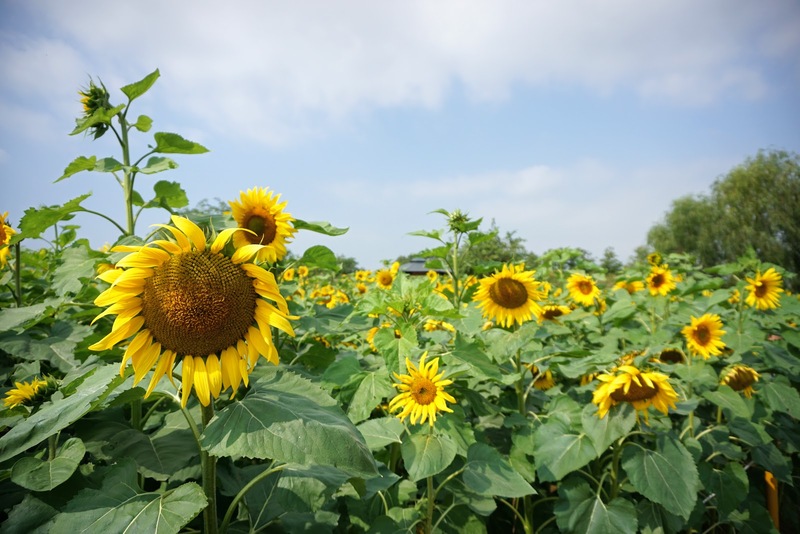 I hope you enjoyed this post and you will get to visit The Sky Park this fall and enjoy the wonders of nature.